There's just a week left to cast your vote for Brand of the Year. Select your favourite from the shortlist of 20 brands that have shone brightly over 2016. 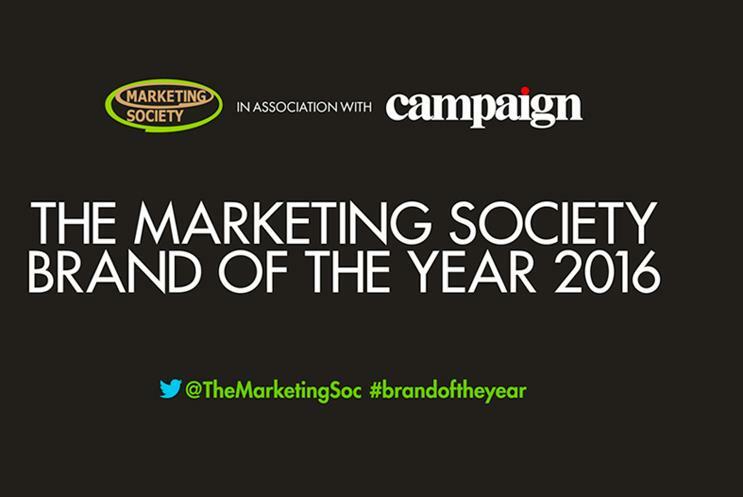 The prestigious Marketing Society Brand of the Year award, in association with Campaign and sponsored by Videology, recognises marketing excellence and is on the hunt for Brand of the Year 2016. The 2016 shortlist of 20 brands is an eclectic mix of established FMCG brands like Sensodyne toothpaste alongside start-ups that are disrupting the status quo such as food delivery service, Deliveroo. On the shortlist are great examples of trustworthy, robust brands which tap into customers' ever-changing needs to succeed in today's tough business environment. "This is a vote by brand builders for brands they truly admire. The brand team that wins it should feel truly proud," said Hugh Burkitt, chief executive, The Marketing Society. Last year’s Brand of the Year winner was O2, joining an impressive list of brands including Macmillan Cancer Support in 2014 and Sainsbury's in 2013. Make your voice heard and vote for your favourite today. This will help us to whittle the shortlist down to five. These five finalists will then be put to the live vote at The Marketing Society’s Annual Dinner on 17 November. Which brand gets your vote? Have your say before the poll closes on 4 November.